A-Tech 1300 SP is a low viscosity material with a rapid cure time. “Drive-over” time of 45 minutes allows short down periods while the area is repaired. The 10 minute pot life allows excellent workability for the user. A-Tech 1300 SP is a high strength rapid set, low viscosity and solvent free polyurea used to repair spalls and cracks in concrete slabs and floors. The long pot life makes A-Tech 1300 perfect for mixing with sand for large repairs. A-Tech 1300 SP is used to repair control joints, broken joints and spalls. It is excellent for use in non-moving concrete floors in warehouses, basements driveways, sidewalks and patios. Dry filler sand can be added for increased UV protection and to match concrete color. The long pot life of A-Tech 1300 SP makes it an excellent repair product for large spalls in concrete. 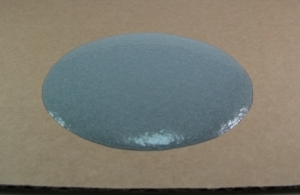 A-Tech 1300 SP is a self leveling and priming material. when mixed with sand it has a compressive strength of 4800 psi. After repairing the spalls, an overlay can be placed the same day. The repaired area will not “shadow crack” through the new overlay. Dry white silica sand provides color match to concrete. Mix with A-Tech 1300 for large repairs. The ratio of sand to A-Tech 1300 SP will change the viscosity and flowability. 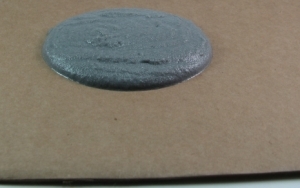 1:1 mix ratio of A-Tech 1300 SP and silica sand gives a self leveling and flowable product. 1.5:1 ratio is still flowable. Ideal for larger repairs.